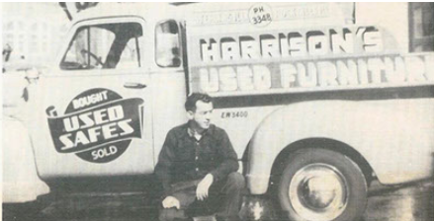 1957, Harold Harrison recognized a market for used furniture and soon opened the doors to his home and began operating his business as Harold's Furniture. As his business grew, he relocated to the building now occupied by William & Mary's Computers/Lincare in Rock Falls, IL. 1985, As business grew & the need for a larger space became necessary, Harold started to build the new home of Harold's Furniture. The business has been located at its current location on Rt.30/Rock Falls Road in Rock Falls, IL & has continued to grow. On July 27, 1995 the well-respected businessman, Harold Harrison passed away. Shawn & Becky Hunter decided to carry on Mr. Harrison's dreams and they purchased Harold's Furniture, also in 1995. Harold's is proud to say they are family owned and operated and pride themselves on personal, professional, & friendly service, quick delivery, set-up, and repairs. After 22 years as Harold's mascot, LaRita, an African grey parrot, passed away. The employees at Harold's Furniture enjoyed watching people talk to her and stated it was sweet to even have customers come in just to see her. She has been dearly missed..